Our WordPress themes include additional templates for static pages. These templates usually add certain features or layouts to a normal page when used. You can assign templates to a page on the Edit Page screen which you can find by editing a page on Pages → All Pages → Edit Page or by creating a new page. If you do not see the Pages Attributes metabox, check your screen options. 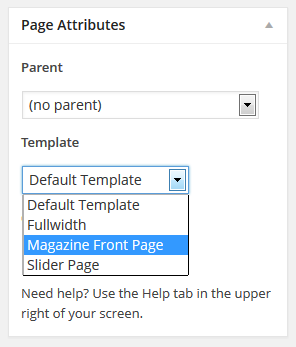 You can select the template for the page in the second option of the Page Attributes metabox. Do not forget to save your page in the Publish metabox afterwards. If you have assigned a different template, WordPress will use that template to render the page. 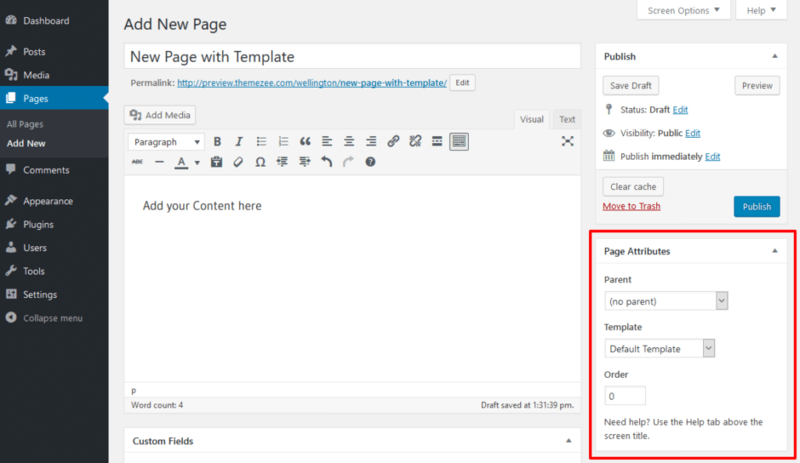 Depending on the selected template, it can happen that your page content is not displayed anymore.